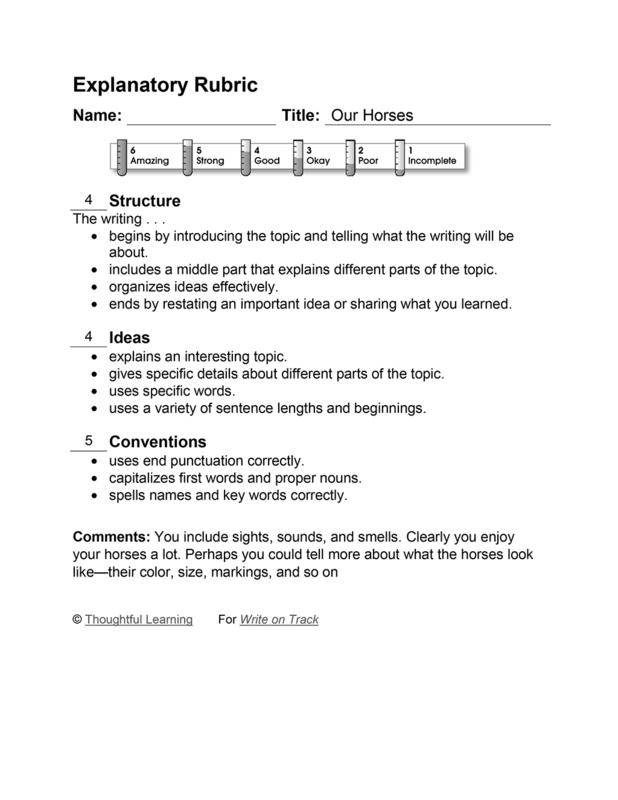 This third-grade descriptive paragraph uses strong verbs and colorful adjectives to describe horses. Every day I go into the big red barn to see our two horses. Sometimes I feed the horses, and sometimes I have to clean the stalls. I love the smell of horses, and the feel of their soft noses when I pet them. The horses are quiet when they eat their hay, but they gulp when they drink water. Sometimes they snort and prance around, and that makes me laugh. One thing I don’t like about the horses is cleaning up the smelly manure. Our Horses by Thoughtful Learning is licensed under a Creative Commons Attribution-NonCommercial-ShareAlike 4.0 International License. Based on a work at k12.thoughtfullearning.com/assessmentmodels/our-horses.